The BRIT Awards 2019 announces that multi-million selling global pop icon P!NK will be honoured with the prestigious Outstanding Contribution to Music Award at this year’s ceremony, which takes place Wednesday 20th February. P!NK will be the first international artist to receive this award. Pink will follow-up her 2017 ‘Beautiful Trauma’ with her eighth album ‘Hurts To Be Human’. Pink was crawling out of skin at her Hollywood Walk of Fame induction ceremony, because she was uncomfortable with all the attention and compliments. Pink is the latest star on the Hollywood Walk of Fame. Pink’s star was unveiled at 6801 Hollywood Boulevard. It is the 2,656th star on the Hollywood Walk of Fame. 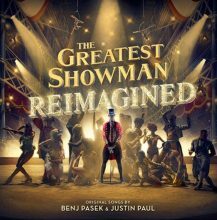 Willow Sage Hart, the daughter of Pink, will be heard on record for the first time on ‘The Greatest Showman Reimagined’. Pink resumed her tour in Australia in front of a star-studded crowd, including Hugh Jackman and Katy Perry. Pink has postponed her first Sydney show for Friday (3 August 2018). Pink recalled the day she announced her separation from Carey Hart in a touching tribute to her dad on Sunday. Pop star Pink thrilled fans in Los Angeles on Thursday night (31May18) by inviting Gwen Stefani onstage for a surprise performance. Pink clapped back at an online hater who made a jibe about her appearance. 2017 was a terrible year for Australian artists in Australia with not one song or album making the ARIA Top 10. Pink remains at the top of the ARIA Albums Chart with her “Beautiful Trauma” album for a sixth broken week at No.1. Pink’s “Beautiful Trauma” returns to the No.1 spot on the ARIA Albums Chart this week for a fifth overall week at the top in Australia. Pink has hit back at claims she was seen grimacing as Christina Aguilera paid tribute to Whitney Houston during a performance at the American Music Awards on Sunday night. 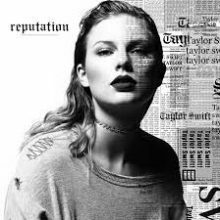 Ed Sheeran and Pink Australian fans have proven to be much bigger than Taylor Swift fans with Swift’s album coming in with the third biggest debut of the year so far in Australia. For the first time since early August an album has held onto the No.1 Albums Chart spot for a second week, as the Pink set “Beautiful Trauma” stays atop the ARIA Albums chart this week with sales now over 100,000. 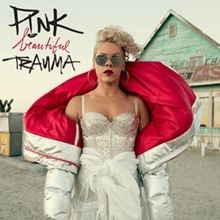 The seventh studio album by PInk entitled “Beautiful Trauma” becomes her fifth No.1 album on the ARIA Albums Chart this week (four studios and one Best of), and has sold so much in its first week that it’s been certified 2x▲Platinum straight away. Pink power is as big as before. The Pennsylvania popstar has generated 35 concert dates in Australia and New Zealand in one day and has sold over 78,000 copies of her new album ‘Beautiful Trauma’ in its first week. 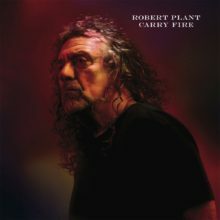 Major new titles coming this week from: Pink, 21 Savage, Dolly Parton, Scouting for Girls (GH), Robert Plant, Gucci Mane, Beck, St, Vincent and Marc E. Bassy. Pink fired back at trolls on her social media pages on Tuesday, after a tweet about U.S. President Donald Trump sparked backlash. Pink will return to Australia for more marathon dates in July 2018. Singer Pink has slammed music producer Dr. Luke, insisting he’s a bad person who has “earned” his terrible reputation. For the first time in over four years, a Pink song has stayed at No.1 in Australia for a second week, as her latest track “What About Us” retains its hold at the top of the ARIA Singles Chart with competition debuting at No.2 in the form of a new Justin Bieber track. Pink opened her set at Britain’s V Festival by dramatically jumping from a crane onto the stage on Saturday night.